GOVERNMENT has taken its campaign against illegal sanctions imposed on the country to the 40th session of the United Nations Human Rights Council (UNHRC) underway in Geneva, Switzerland. Addressing dignitaries at the ongoing UNHRC meeting in the Swiss capital yesterday, Justice, Legal and Parliamentary Affairs Minister Ziyambi Ziyambi urged Western countries to lift sanctions that have hamstrung Zimbabwe for about 20 years, scuttling efforts by Government to turnaround the economy. Government's calls for the removal of illegal sanctions have also been buttressed by Sadc, which has said they are preventing the country from accessing funding from multilateral financial institutions and capital markets to support its development agenda. Minister Ziyambi told the UNHRC meeting that the embargo impacts negatively on Government's re-engagement efforts aimed at repositioning Zimbabwe's economy on a growth trajectory in line with Vision 2030. "As enunciated in the Vision 2030, which is aimed at attaining an Upper Middle Income status by 2030, the Zimbabwean economy remains stable with growth projections for 2019 pegged at 3,1 percent. However, Zimbabwe's economic transformation continues to be hampered by the illegal sanctions imposed by the West," said Minister Ziyambi. The Minister urged the international community to support Zimbabwe in its call for the removal of the illegal sanctions, saying they were hurting ordinary citizens and stifling the country's economic growth. "We therefore appeal to the international community to call for the unconditional removal of the sanctions, which have caused untold suffering on our people," he said. Minister Ziyambi also took the opportunity to clarify to the international community the deployment of law enforcement agents during the recent violent protests, which rocked Harare, Bulawayo and other major cities and towns resulting in loss of life and destruction of property. "It is important to note that these protests were premeditated, pre-planned, masterminded and sponsored by external forces and local NGOs who were working with some civil society organisations and some workers unions, to make the country ungovernable and to effect regime change. Government consequently deployed law enforcement agents to quell these protests and avert further loss of life and destruction of property," he said. Minister Ziyambi said Government remains committed to the full promotion and protection of people's fundamental rights and freedoms in fulfilment of the global human rights agenda. This is however, despite accusations of alleged human rights abuses by civic society groups and NGOs behind the violent protests. "It is a pity that the same groups have continued to propagate biased and misleading reports that are aimed at tarnishing the image of Zimbabwe yet they continue to get favourable attention. This happens even when in cases where they are alleged to have incited the commission of crimes and violations of the rights of other citizens," said the Minister. "In order to protect their interests their handlers continue to advocate for their release even at the expense of the proper administration of justice." 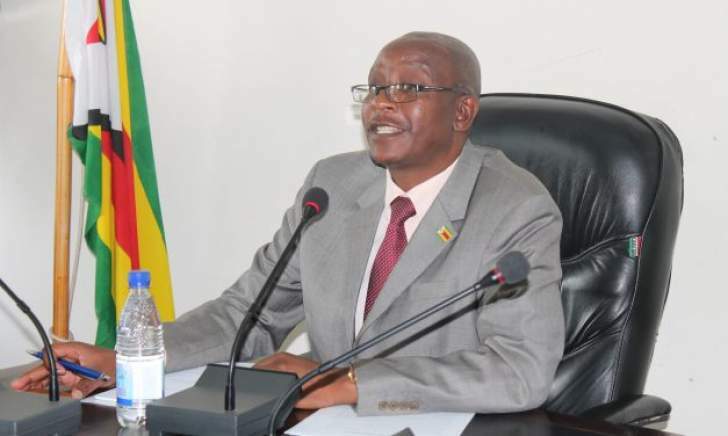 Minister Ziyambi said Government is repealing the Public Order and Security Act (POSA) and Access to Information and Protection of Privacy Act (AIPPA), the two pieces of legislation which were previously perceived to be hampering the enjoyment of human rights.